We're only years away from a complete Robot Revolution and Google Inc. will surely be leading the charge. Google knows more about me than my grandma and all my past girlfriends combined. I use Gmail for all of my emailing, Chrome is my browser of choice, and Google Maps is the only way I get around this place. We have an unhealthily close relationship, and the same probably goes for you too. Now, there's another thing making it even more unhealthy, depending on how you see things—your location history. I recently discovered that I had Google Location History enabled in my settings, which I don't remember opting in for. Though, in all fairness, I probably signed on (as well as gave away my first born son) when I agreed to the terms nobody really reads. While it was kind of interesting to see where I had been in the past few months, I wasn't too sure I wanted that information logged. Luckily, it's pretty easy to erase or disable completely. If you're signed into your Google account, you can check to see if your location history is enabled here. Make sure to check other months or days, because you may not have traveled in some time. The entire month of December was empty for me, but moving back in time my location was tracked. Under the date on the left side, you'll see a few options. You can select from Delete history from this day or Delete All History. Choose your preferred deletion and hit OK.
Now, to disable this feature all out, you need to click on the gear (cog) icon on the Location History homepage. You will be taken to another page where you can disable or enable the feature. Hit disable and the save your changes. But it doesn't stop here. 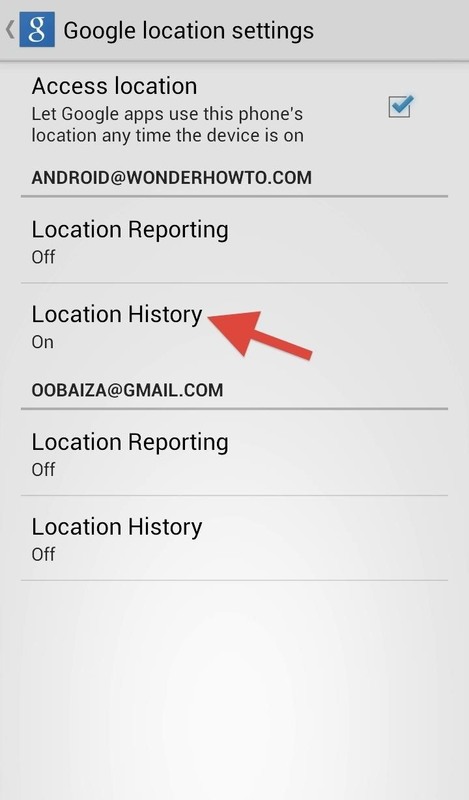 Google can store a history of your location data from all devices where you use a Google Account that have this location reporting service enabled. 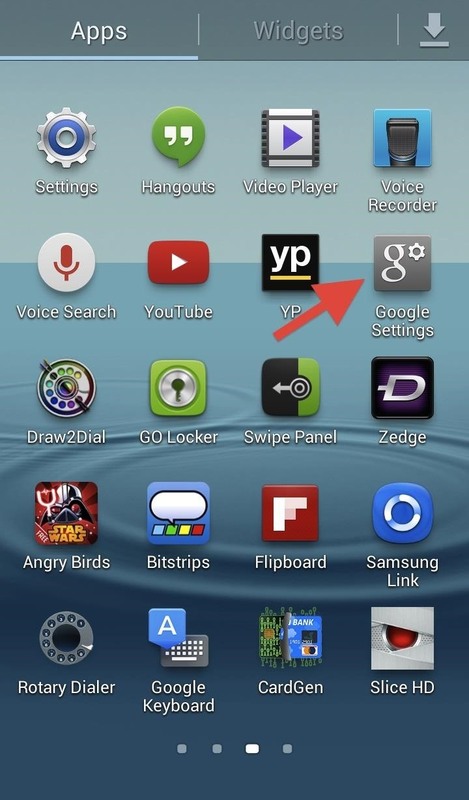 That means, if you have another device also linked to Google, you will need to disable it from there as well. On your Android phone or tablet, you'll need to go to Google Settings -> Location -> Access Location. Check the box next to Access Location and then move down to Location History. If it's on, switch it off, and then uncheck the box next to Access Location. 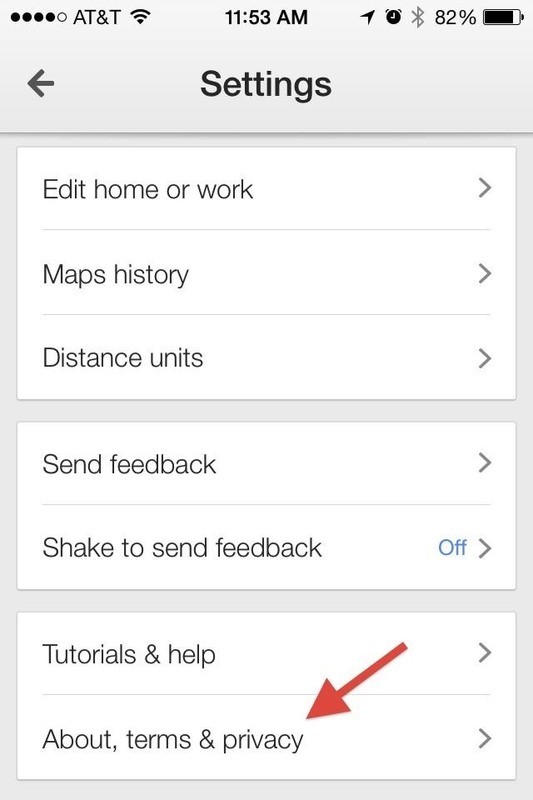 You can turn this setting back on at any time in Google Settings. Things get a little stickier on iOS devices. The support page for iOS refers back to the web-based option that I discussed earlier. 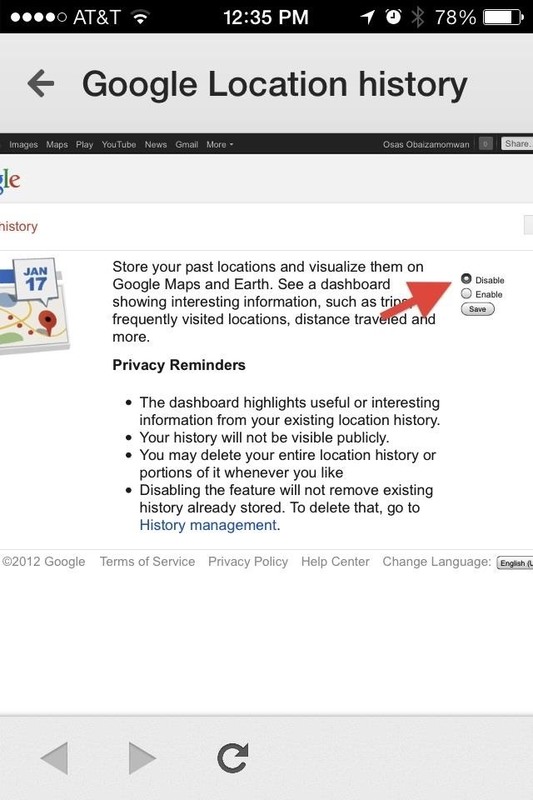 On your iOS device, go to Location History and sign in with your Google account. Select the gear icon and go to History Settings -> Disable. Now, if your have Google Search installed on your iPhone, you may still need to disable location history (again) from the app itself. 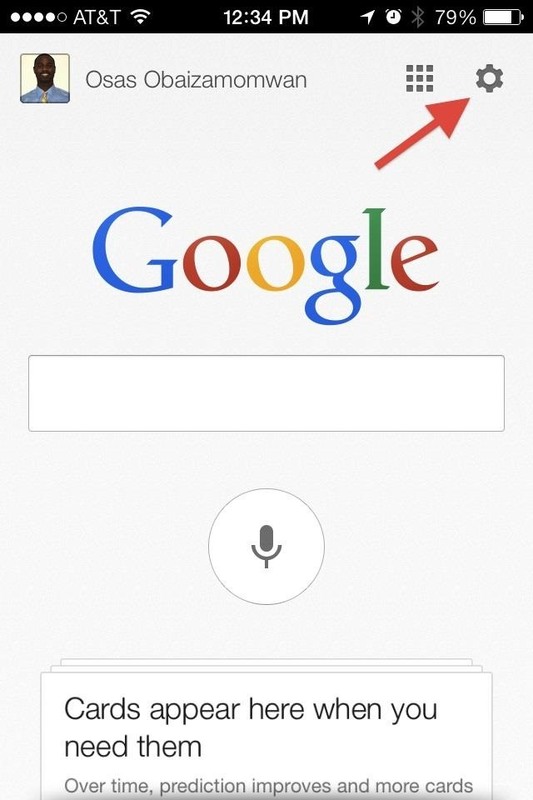 Open up your Google Search app and tap the gear icon to access the settings. In the app Settings go to Privacy -> Location -> Location History -> Disable -> Save. 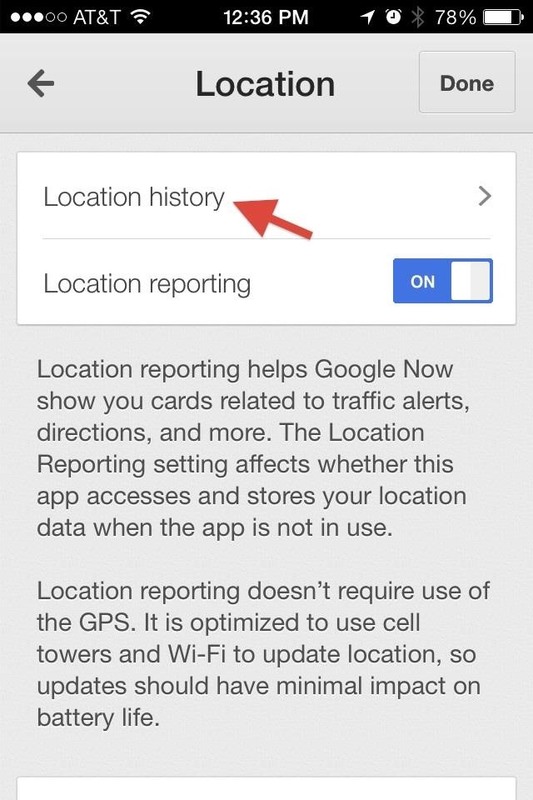 You can also turn off Location Reporting, but know that Google Now's offering of traffic alerts and directions might be affected. 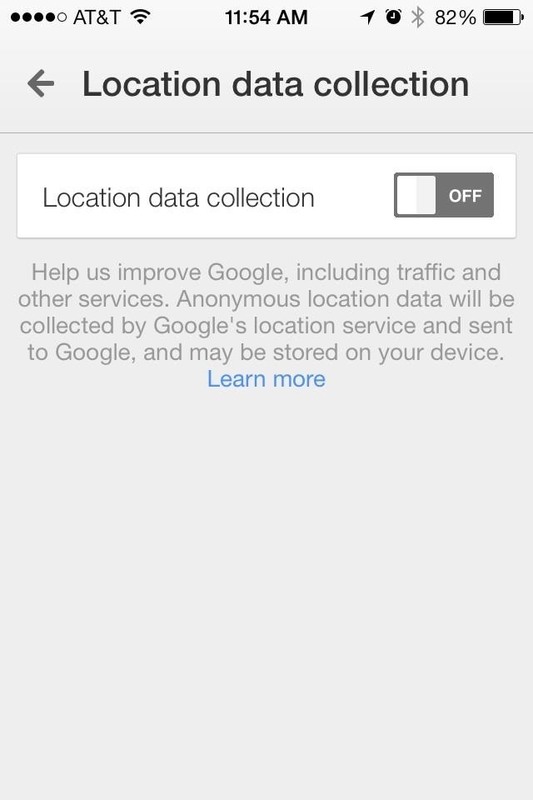 The surefire was of disabling Location History and tracking you via your iOS device would be to go to iOS Settings -> Privacy -> Location Services and turn the slider for Google Maps off. This disables Google Maps altogether. 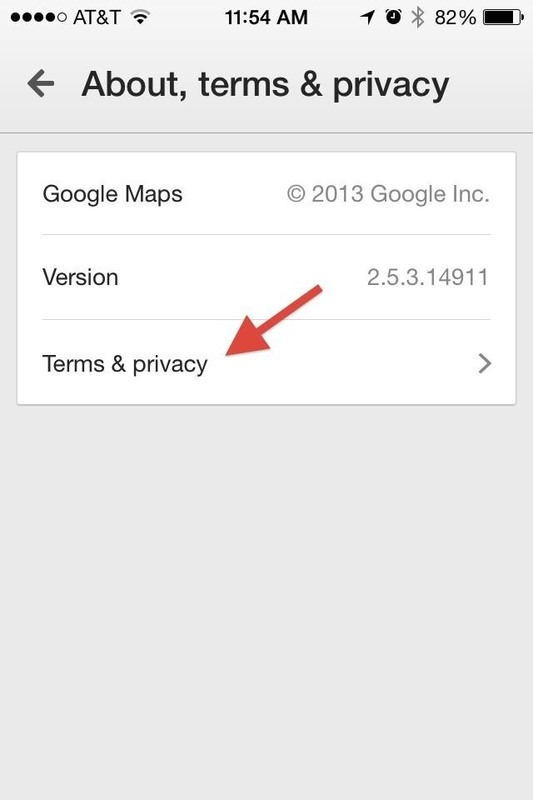 You can also open Google Maps and go to Settings -> About, terms & privacy -> Terms & privacy -> Location data collection -> OFF. As you can see, there are so many ways that Google can gain access to your location information, but it's not all Google either—Apple is just as bad. You've been warned, the Robot Revolution is upon us, how are you going to protect yourself? Just because you delete the info on your side does NOT mean that google ever deletes it. That's info they can use and keep.